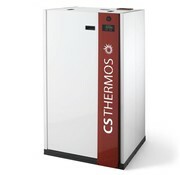 Founded in 1985 by Tarcisio Canzian, as a manufacturer of gas and gas oil boilers and stoves, from 1997, CS THERMOS has specializes in the field of pellet stove. The curiosity of his son, Sigismondo, and the continuous research to innovations, has led the company to embrace the largest world of biomass and ecology. We strongly believe that this new combustion technology, unique of its kind, improves our lives by offering us a healthy and natural heat, a wellness and a practicality in step with the times. CS Thermos believes in teamwork and we make sure that everything is done in the right way. A team of specialists works with enthusiasm to the constant research for innovation: our products, cutting edge and built with accurate attention to details, reflect this passion. We are promoters of Made in Italy abroad, without giving up to our craftsmanship. 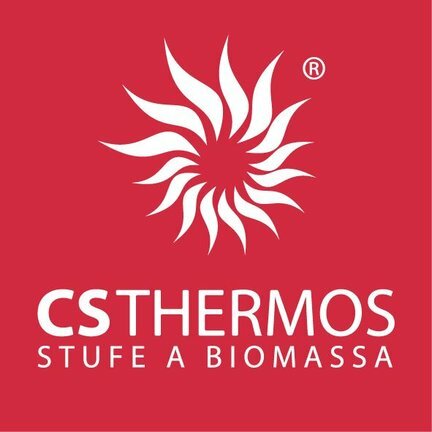 CS Thermos manufacture stoves and boilers that burn pellets, biomass and wood. We imagine them for our home, we conceive and create them carefully, wasting as little as possible. Our models, entirely designed and manufactured at our facilities, are certified according to European standards, which guarantee maximum reliability and safety, and benefit of government grants related to renewable energy. Our ecological philosophy leads us to reuse waste materials, and to be energetically independent thanks to the photovoltaic system installed in the plant in San Vendemiano.